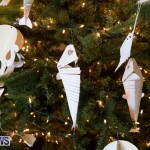 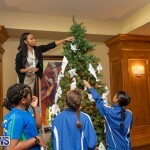 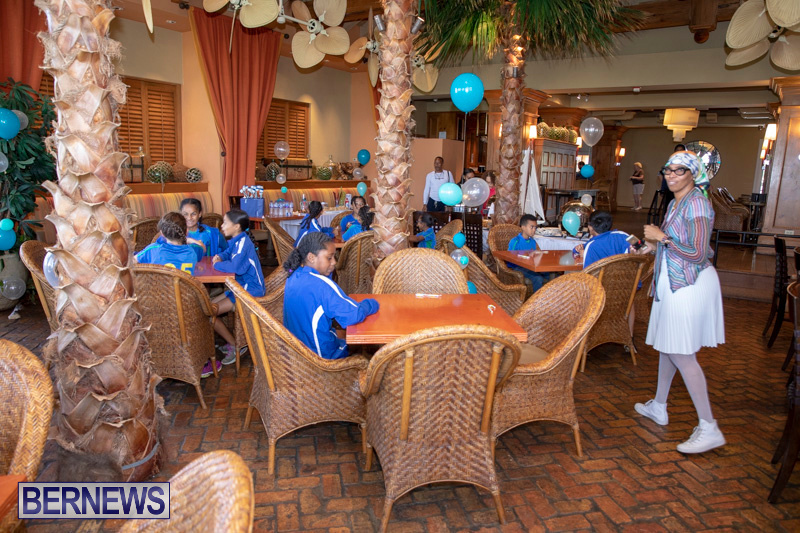 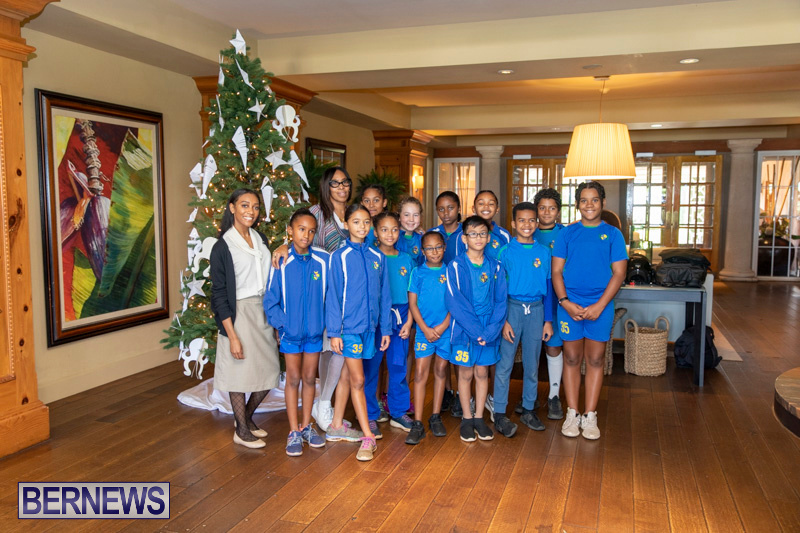 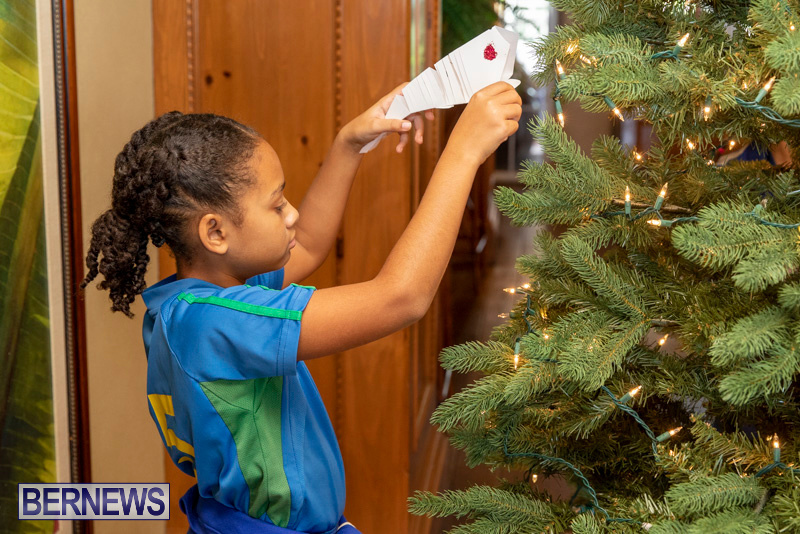 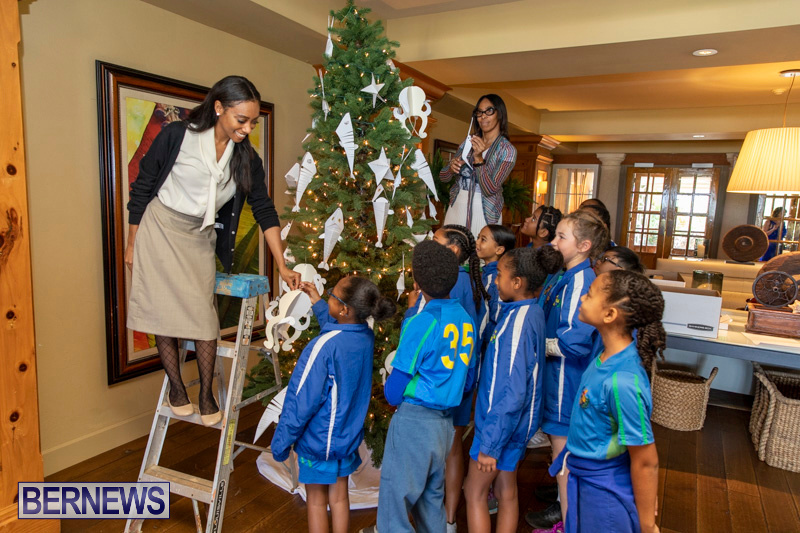 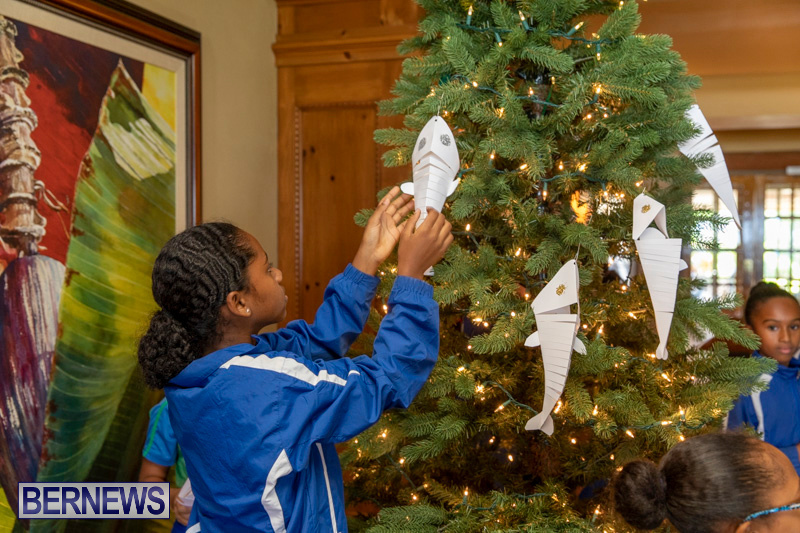 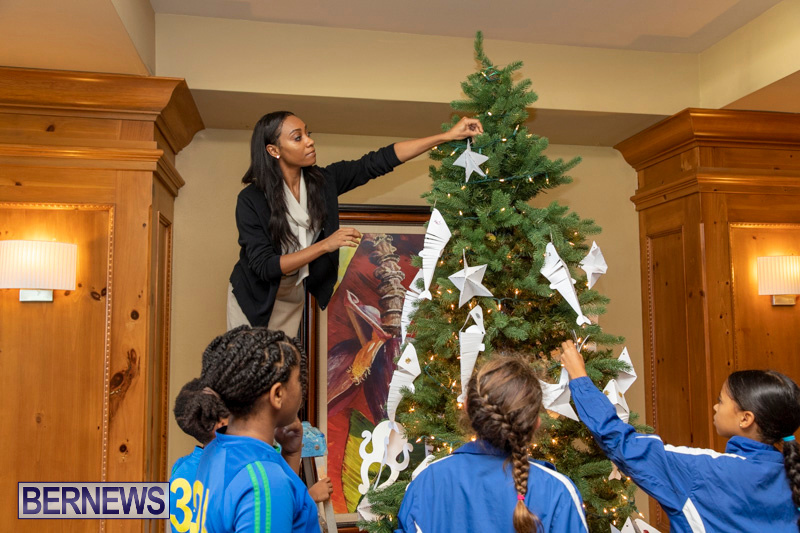 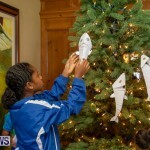 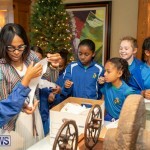 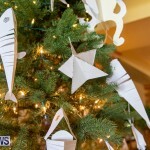 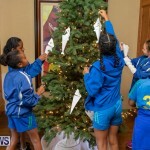 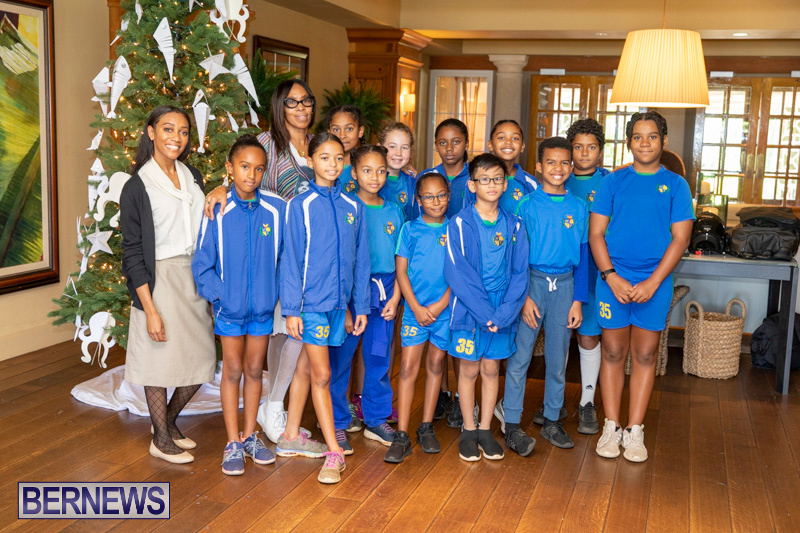 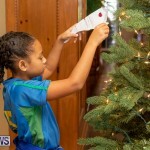 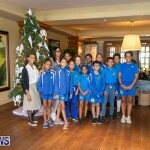 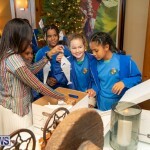 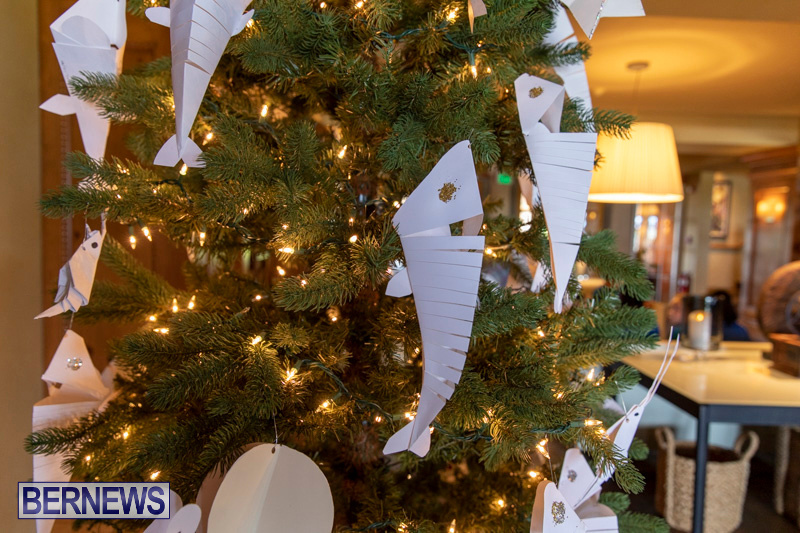 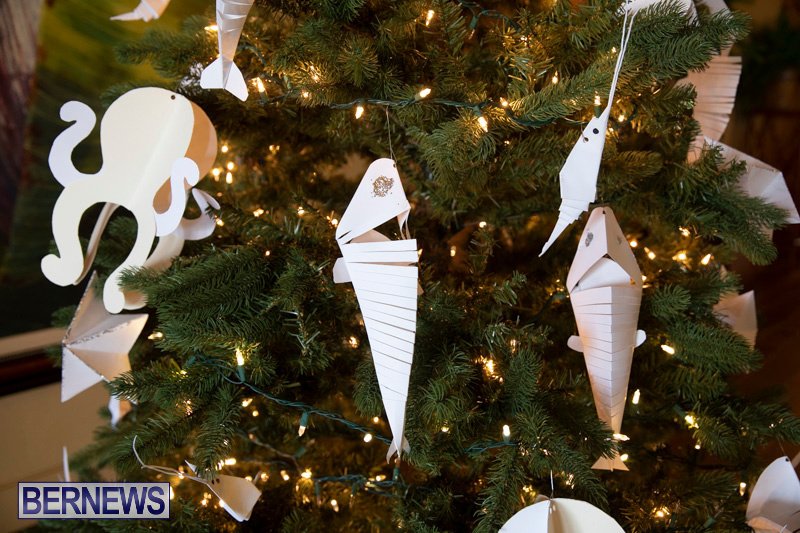 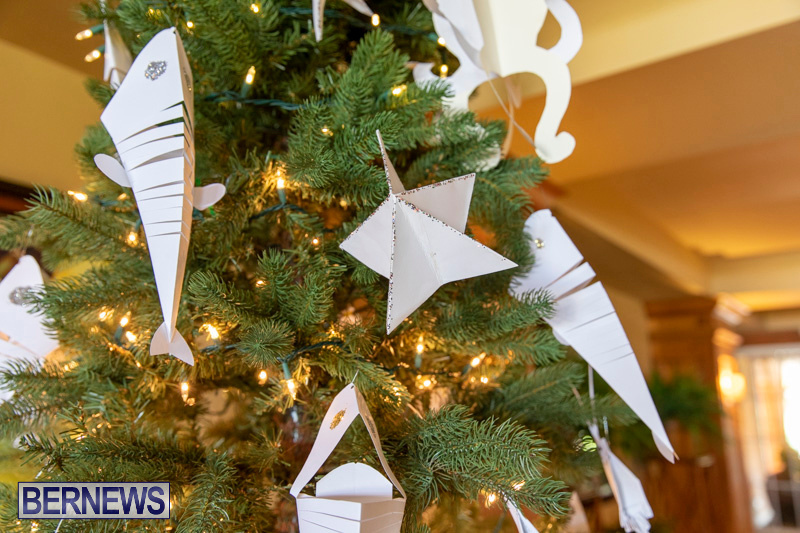 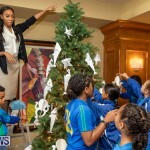 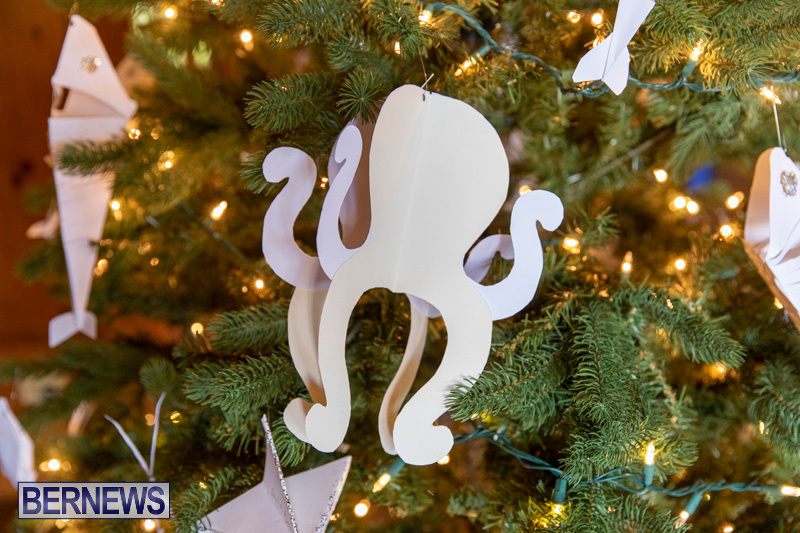 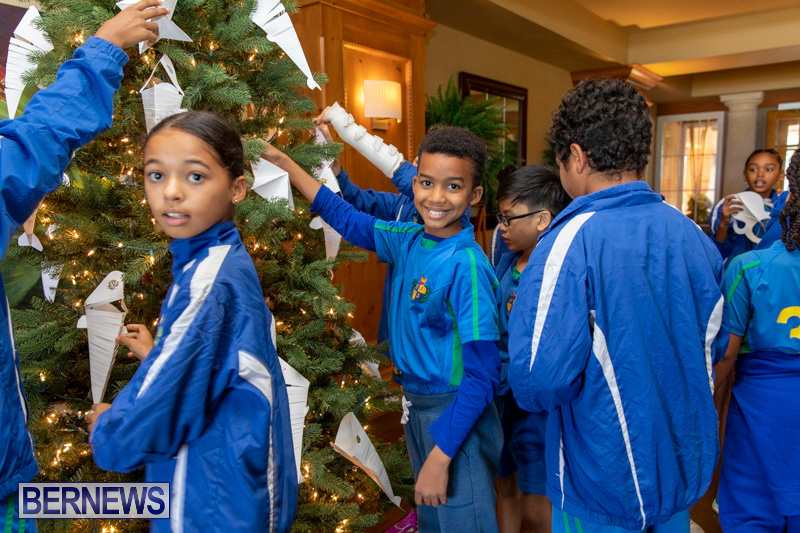 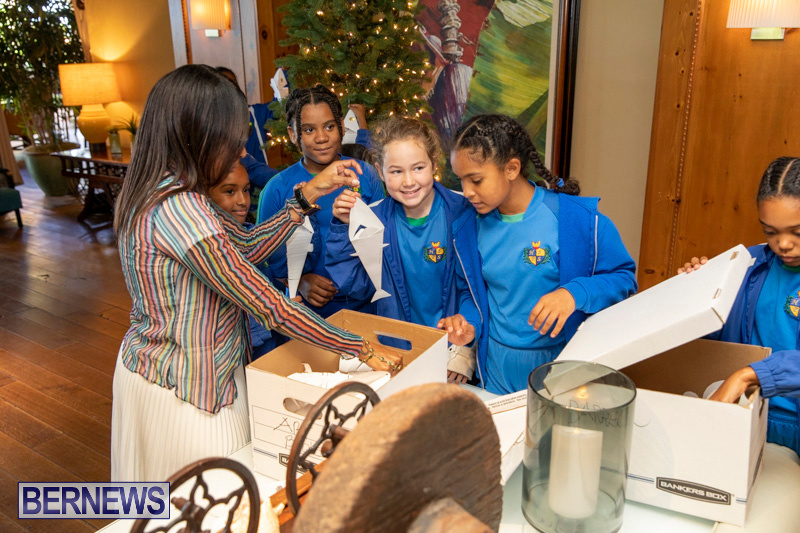 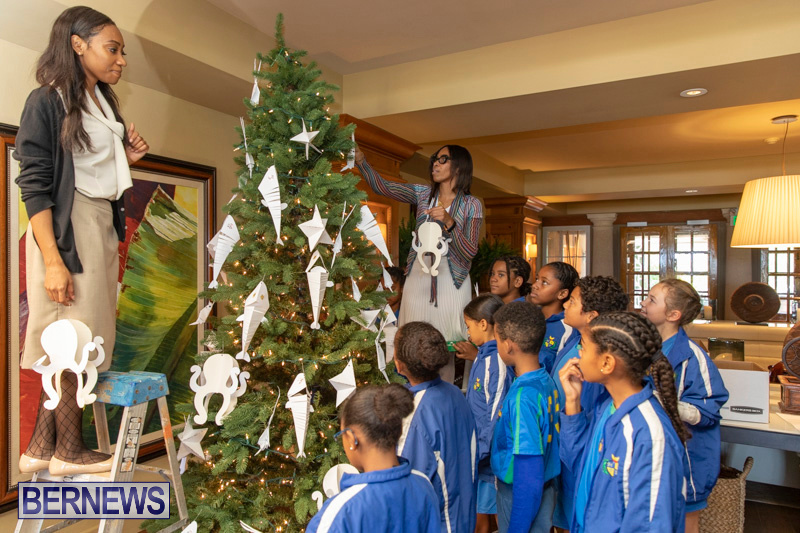 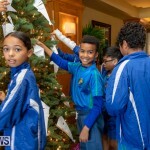 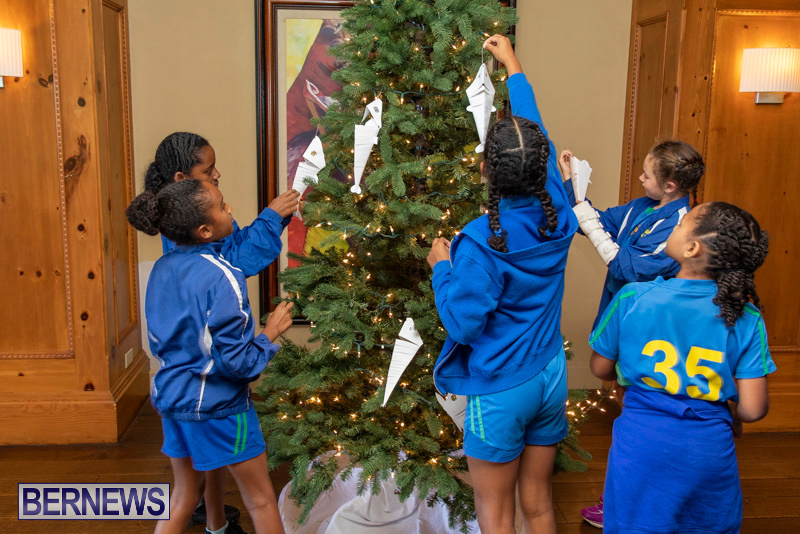 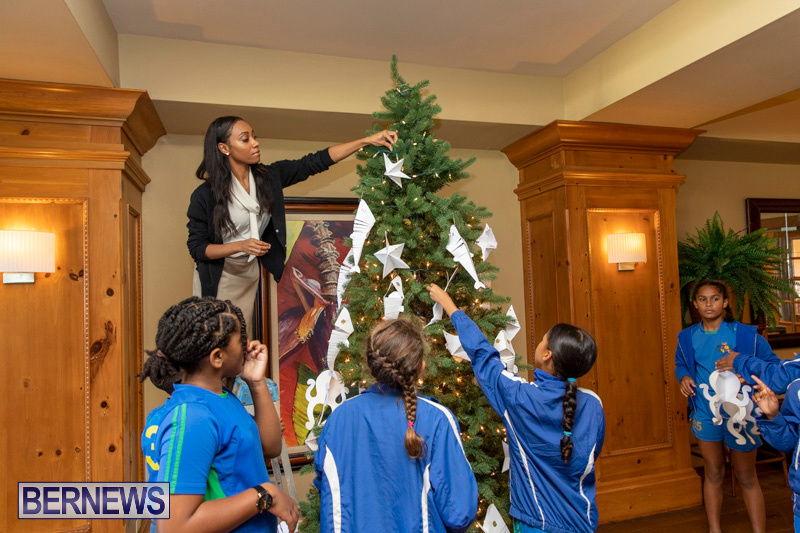 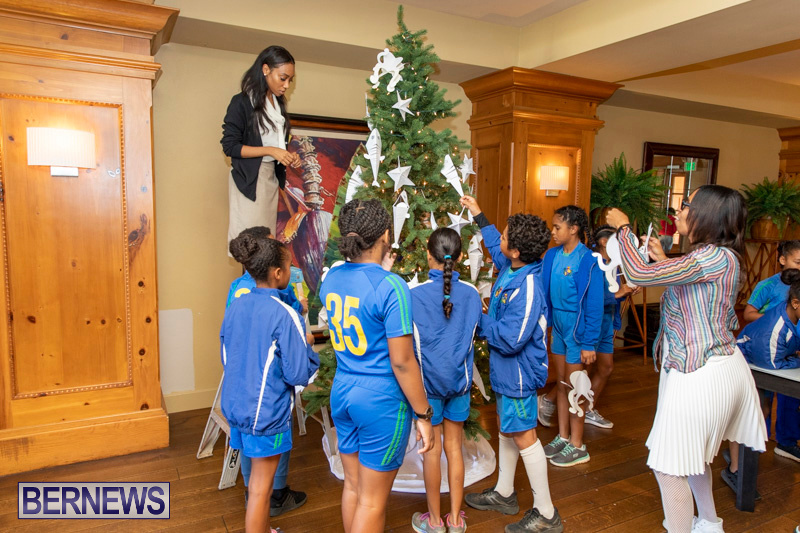 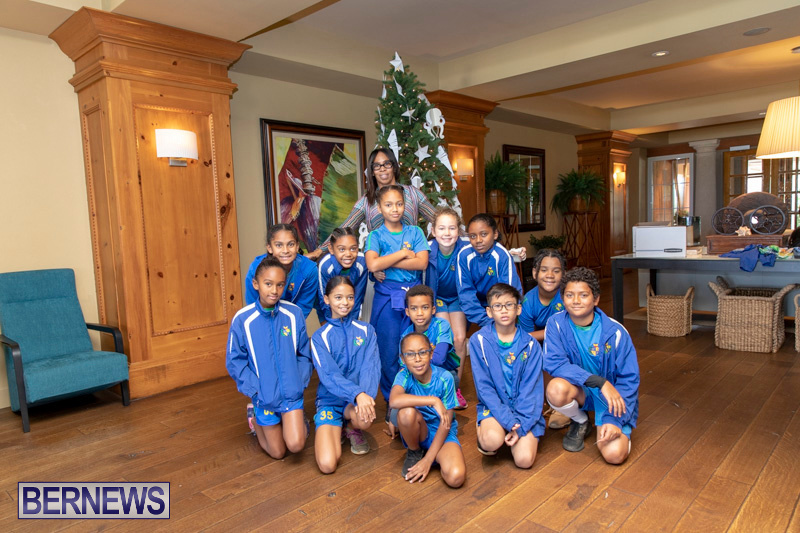 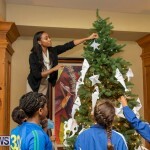 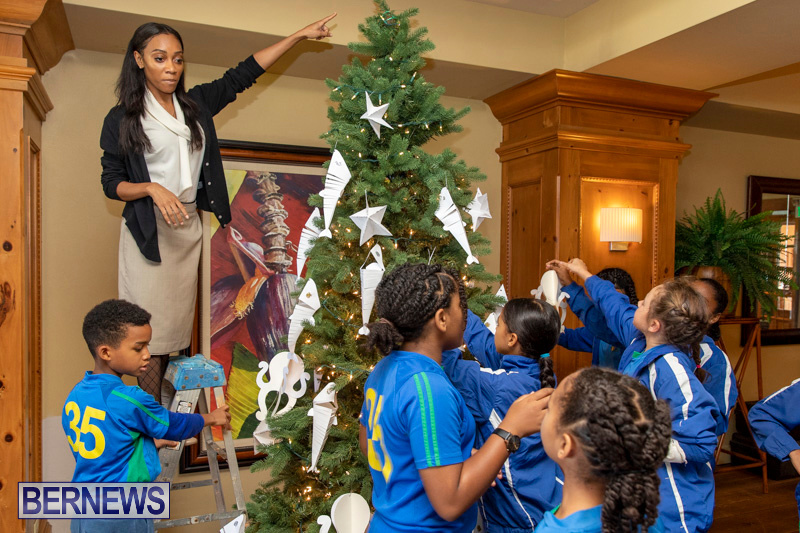 At the invitation from the resort, Harrington Sound Primary School’s Visual Arts Class students have decorated Grotto Bay Hotel’s Christmas tree that sits in the hotel lobby. 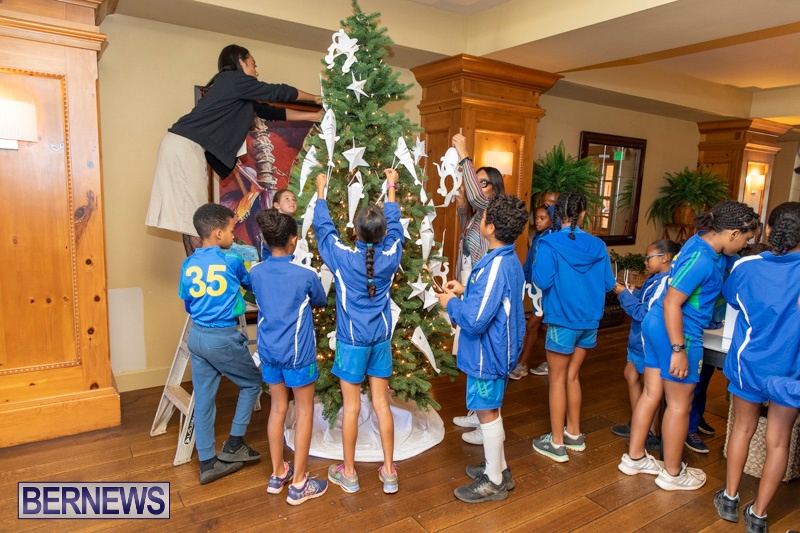 A spokesperson said, “Our Christmas committee are currently planning our holiday festivities for our visitors to the island, and part of our requirement is to have one of our Christmas trees personally decorated by a primary school’s visual arts class. 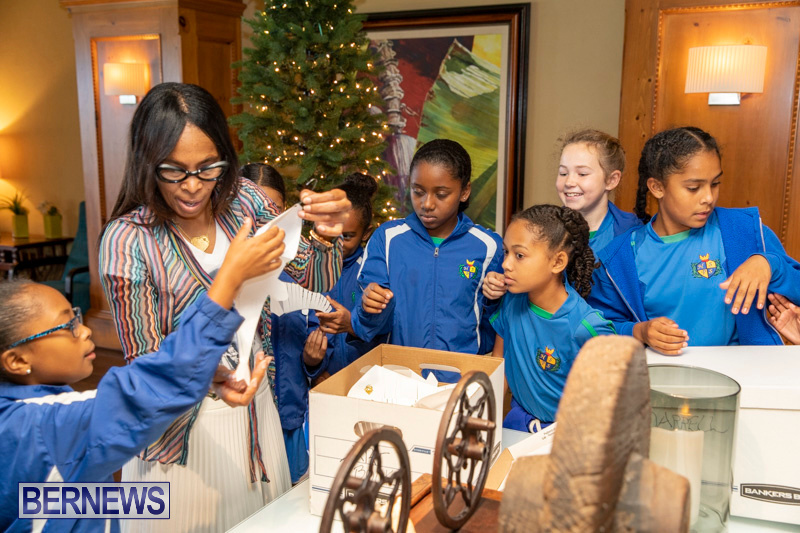 “After much debate based on “awesomeness” – all schools in the eastern end of the island were considered and although all the schools were first class, we’ve chosen Ms. Johnette Darrell of Harrington Sound Primary School’s Visual Arts Class. 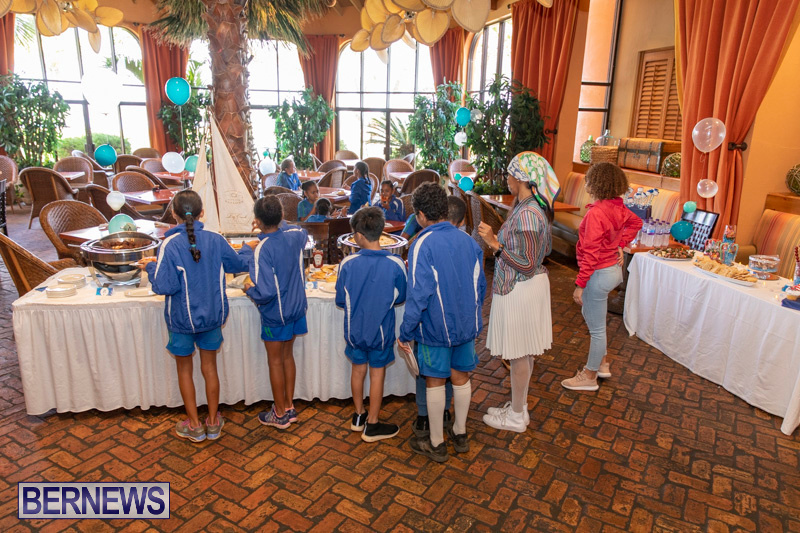 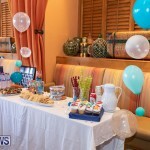 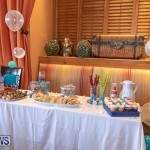 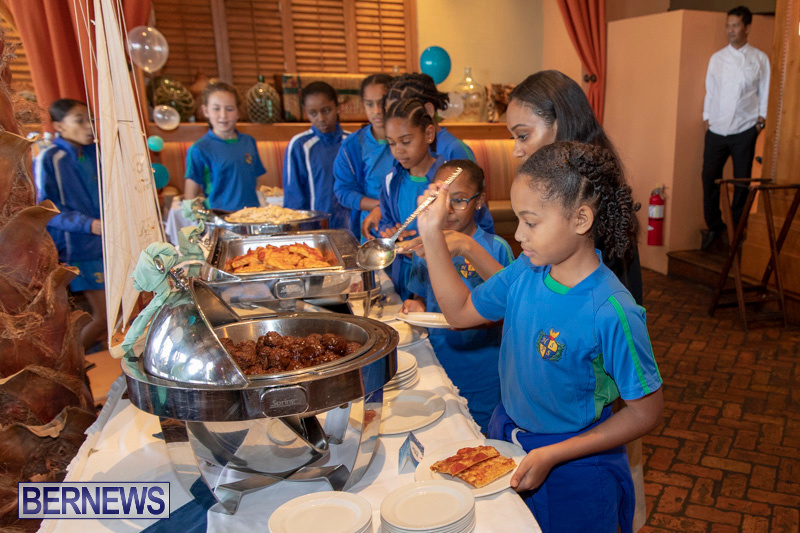 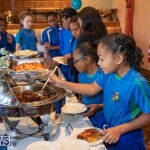 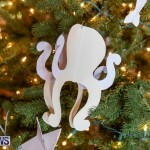 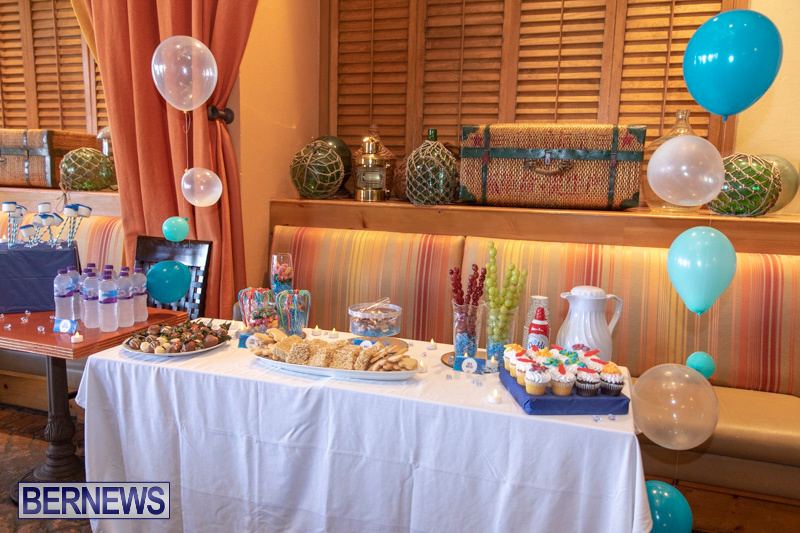 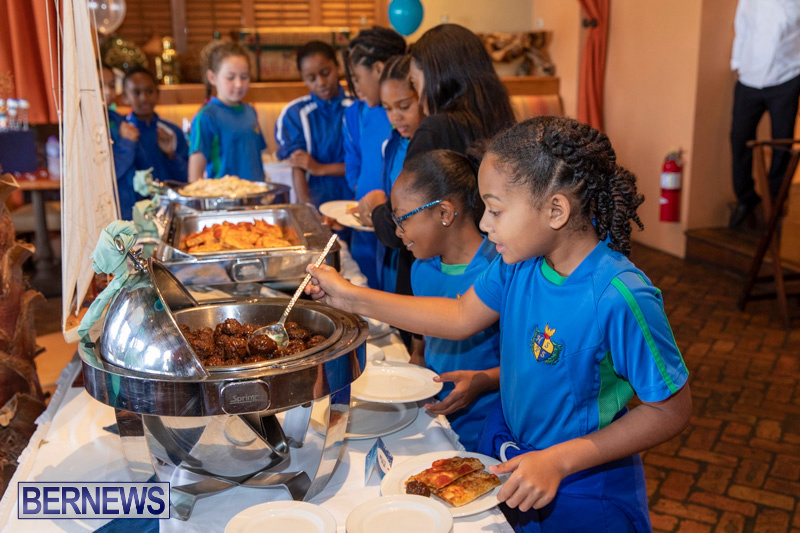 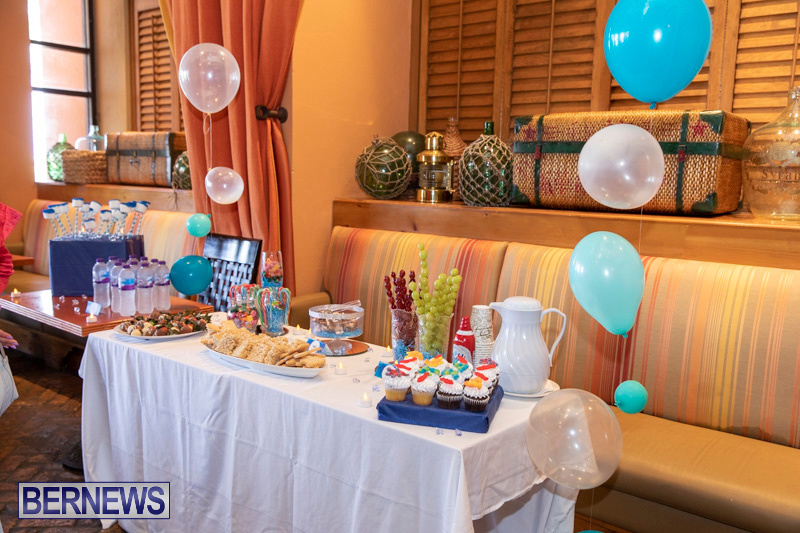 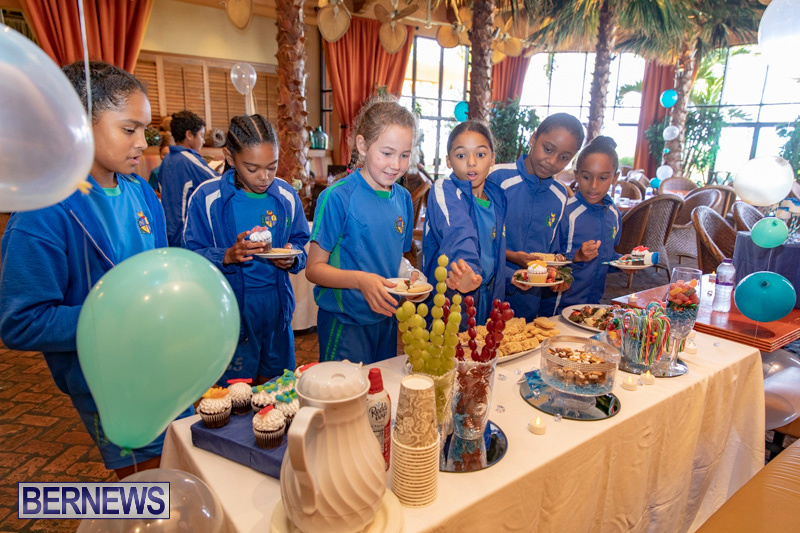 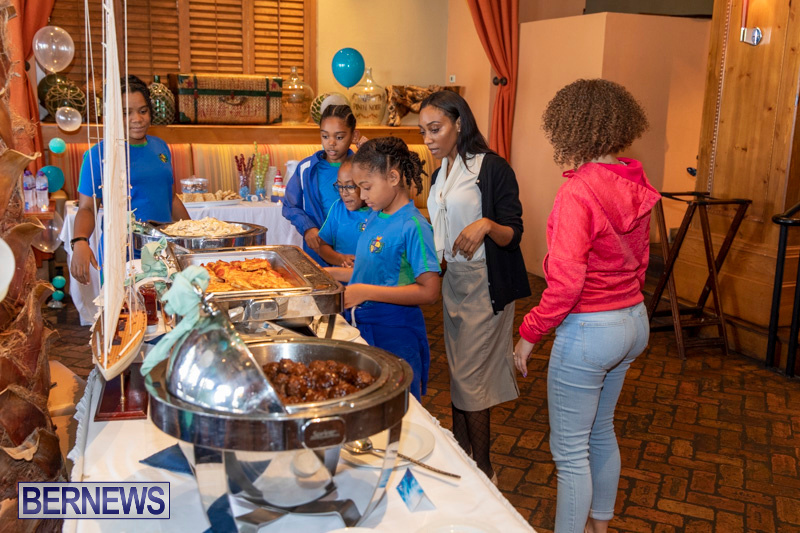 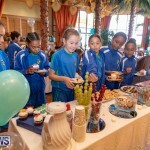 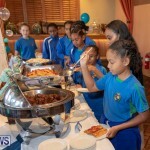 In a show of appreciation for the students’ work, the hotel provided a surprise lunch party after the decorating was done, with the food crafted and labeled in the “Under the Sea” theme. 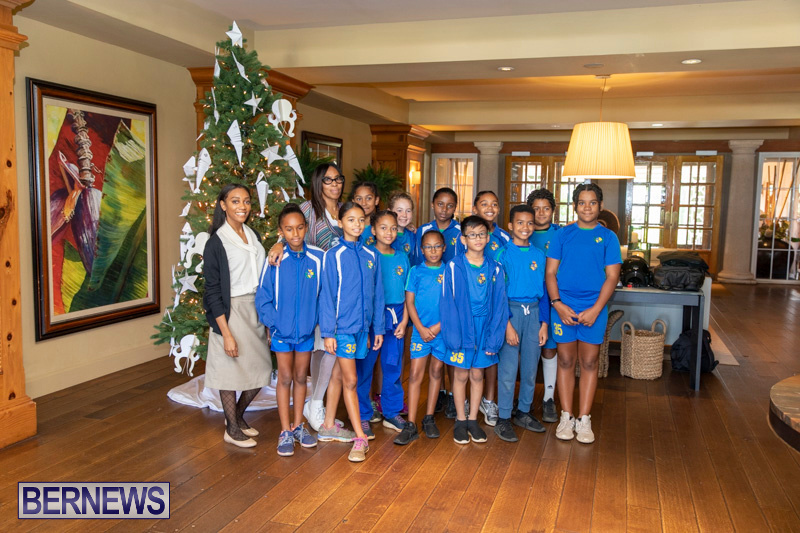 Hotel management went on to thank teacher Ms. Johnette Darrell and her students, and The Wharf in St. George’s for their support.